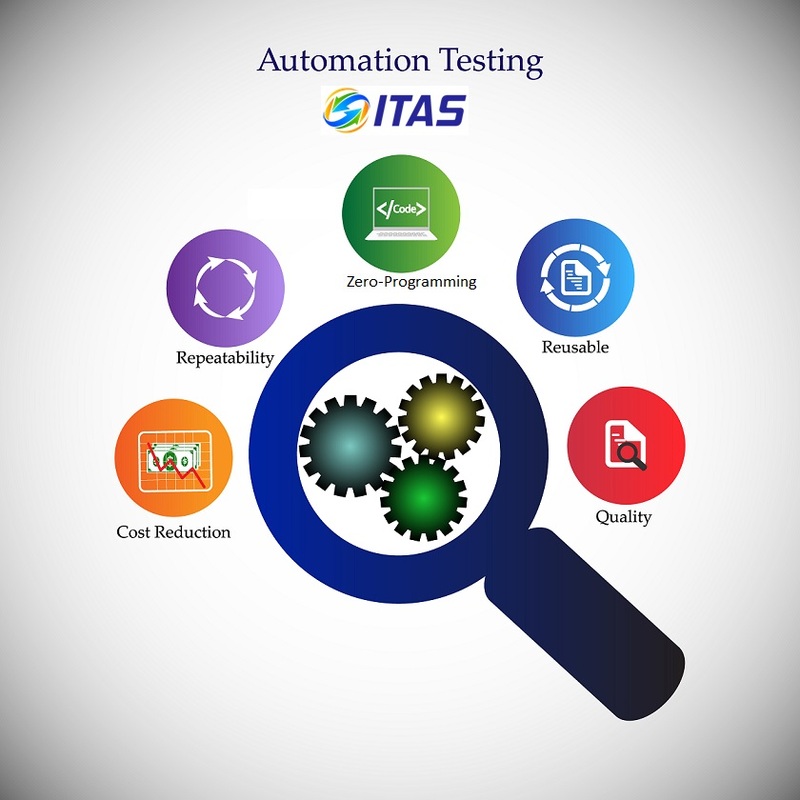 Fusion’s Cloud ready ITAS empowers its clients in today’s fast paced World, to implement agile testing methodology along with automation. The result is one always stays ahead of the curve. Open architecture ensures the highest level of scalability, integration and performance. It’s API interface makes CI Integration in DevOps model seamless. Execute functional, regression and performance testing using single test case object repository, using one simple interface. It’s powerful test case linking functionality allows user to dynamically test across the heterogeneous platforms. 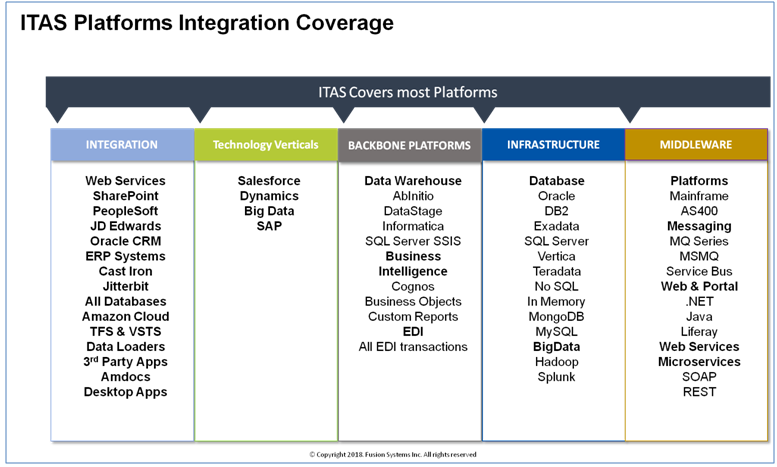 Fusion’s ITAS has Pre-build and pre-configured native connectors for most environments, for real time integration testing. Built in functionality to monitor the server utilization charts in real time. 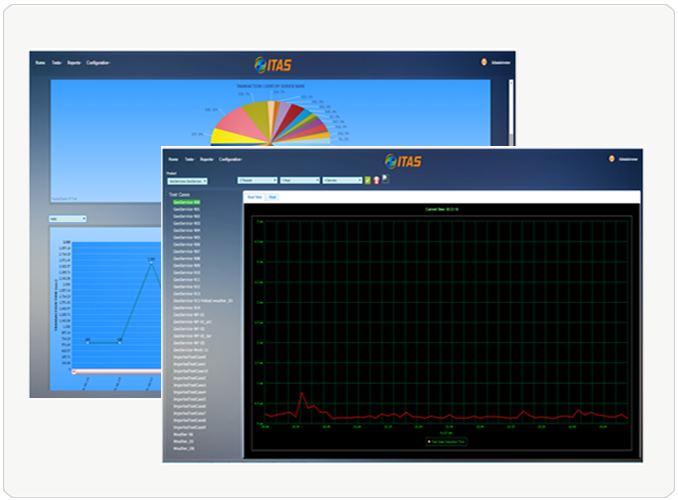 Real-time performance monitoring through interactive charts and graphs. Finding the performance root cause quickly via innovative connectors at component level. ITAS takes minimum startup time, less than a day in most cases to configure and start building test cases. No need to do the functional and performance testing preparations separately. Have ITAS setup the test data for your environments. Because of the vast platform support, ITAS can be configured to backup, clear and load an environment, prior to execution. Want To Know More About ITAS ?